What's More Important, Video Games Or Airport Security? Every time I go through airport security, I'm always afraid someone will walk off with my personal belongings. This exact scenario happened to one man in Central China last Thursday. When he realized he had lost his stuff, he went to the security staff. What he found next was terrible. 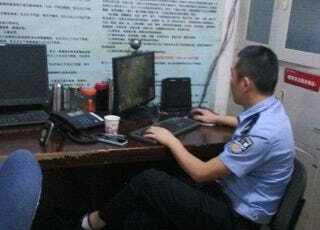 China National Radio reports that a gentleman in Lanzhou province has filed a formal complaint against the airport's Public Security Bureau for negligence, citing that the staff were unhelpful and that one officer was too busy playing video games at work. On his way from Lanzhou, Gansu province, to Beijing, Mr. Fu went through airport security. He put his money, his ID and his other belongings into the x-ray basket. After he went through the metal detector, he went to retrieve his belongings. He noticed that he was missing about $65. Mr. Fu then went to airport security to ask for help. Airport security claims that they're not responsible for lost items and the like, so they ended up sending him to the airport's public security bureau. An officer took Mr. Fu's statement and assured him that he could board his plane to Beijing. After arriving in Beijing, Mr. Fu received a message from the public security bureau saying that the money could have only been taken by Mr. Fu himself, and that if he wanted to contest the findings, he'd have to fly back to Lanzhou. Unhappy with the PSB, Mr. Fu filed an official complaint. He had in his procession a photo of officer number 071609 playing a game. While the game isn't named in the CNR report, Mr. Fu claims the officer was playing "lu a lu (撸啊撸)" which is Chinese online speak for playing League of Legends. There's no word if Mr. Fu will ever get his $65 dollars back or if officer 071609 will get in any trouble. Of course, it's kind of terrible for the officer to get in trouble for playing a game, for all we know, he could've been on break. Either that, or he really enjoys playing whatever game he was playing and he set it up as his background image.